Perhaps you already have a fine serving dish. Do you have the fine serving utensils to go with it, though? When you bring out that roast on a stunning platter or a fine sauce in a decorative bowl, you need a great carving fork or sauce spoon to go with it! That is why we offer a wide selection of serving utensils. No matter what you are serving, from appetizers to desserts and everything in-between, we have the forks, knives, blades, and spreaders that you need to properly distribute the food at your next feast. Not only are they made from quality materials like pewter, steel, and fine hardwoods, but they also feature incredible details, enough so that each one is likely to catch the eye and interest of any of your guests when they use it. We offer serving sets too, like salad sets that include the traditional pieces that you need to properly mix and dish almost any salad you might serve at your meal! 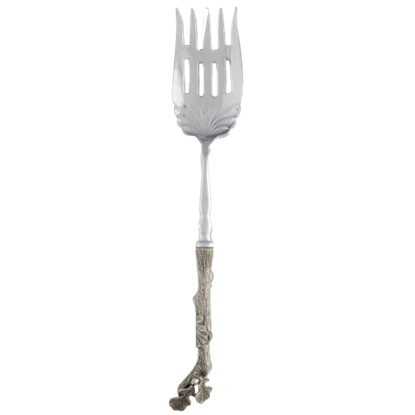 Every element of your themed feast should be spot-on, so if you find yourself missing that pie blade, carving knife, hors d'oeuvre fork, or serving spoon that you need, pay this section a visit. We have all the serving utensils you need to complete your collection, your theme, and your dinner. 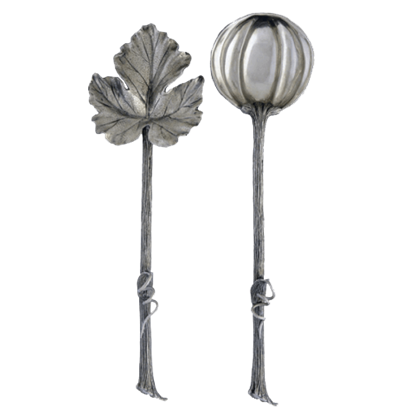 Even the most discerning guests will be delighted to dine with the pewter Acorn and Oak Leaf Appetizer Fork at your next dinner party. This slim and sharp double-tined fork is perfect for spearing appetizers and starter courses. 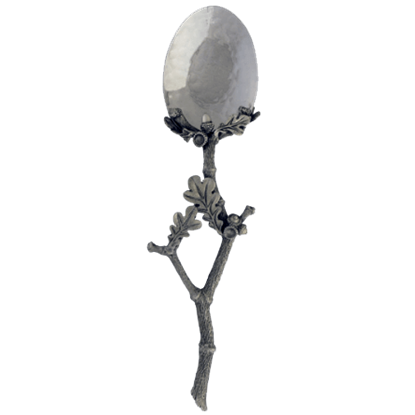 A small accent piece that goes a long way, the Acorn and Oak Leaf Ice Scoop is a great bar accessory with a wonderful decorative flair. Guests at your next soiree will appreciate your attention to detail with this quality piece. Every piece of your dinner service plays an important role in overall effect of your table. 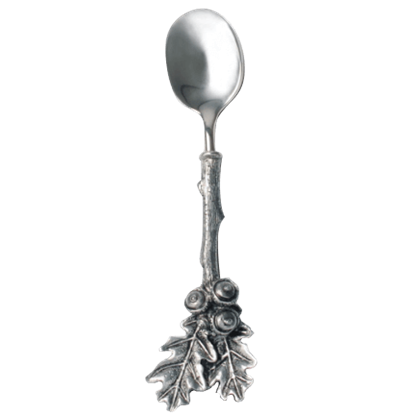 The beautiful and collectible Acorn and Oak Leaf Jam Spoon is inspired by the designs of 18th century master silversmiths. 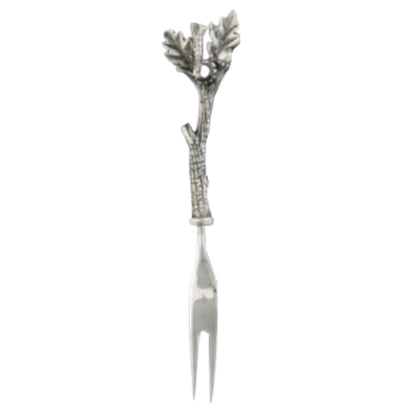 Choose serving tools that are as fancy as your food, such as the Acorn and Oak Leaf Meat Fork. Every detail of your dinner will show your careful thought as you dig this meat fork into the roasted meat of your choice. As the perfect server for any nature-inspired table, the Acorn and Oak Leaf Pie Server is a great accent is sure to catch the eyes of your guests. This server suits whether you are passing out slices of pie, cake, or pastries. 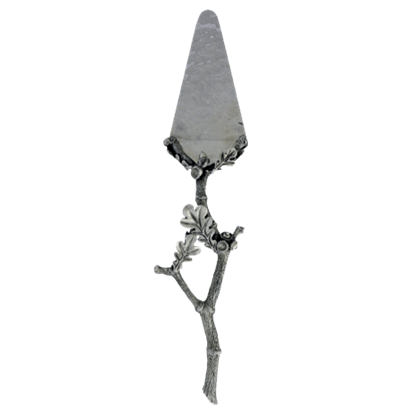 The Acorn and Oak Leaf Salad Servers will help your table display utensils that are just as fancy as the food you serve. 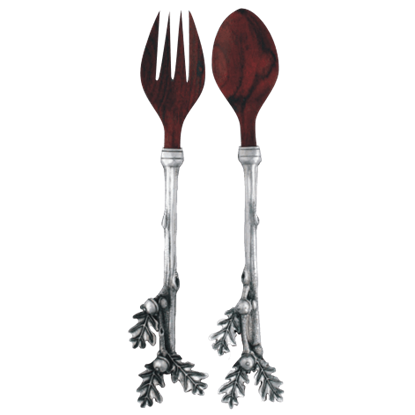 The handles of these salad servers are cast from high quality pewter in a design inspired by nature. 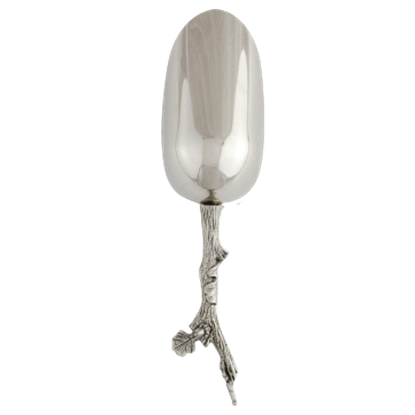 The perfect serving spoon for any table arrangement, the Acorn and Oak Leaf Serving Spoon makes a great accent that will not go unnoticed. Its clever design allows it to decorate your table even as it serves your delicious food. Show as much care for detail in your servingware as in the delicacies that grace your table. The Acorn and Oak Leaf Stuffing Spoon offers a utensil with incredible utility and excellent artistry and craftsmanship. With the leaf of a pumpkin vine as a serving fork and a sugar pie pumpkin as the serving spoon, magic will happen at your table with the Autumn Vine Salad Set. Guests are sure to enjoy the appearance of these charming serving utensils. 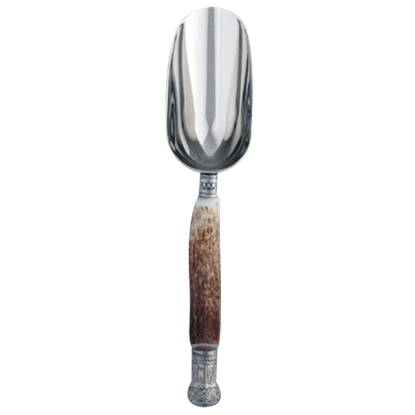 The captivating and sturdy pewter crown and antler handles on the Deer Antler Ice Scoop define a natural and elegant style. When you serve your guests with this large sized pan scoop, you will see its excellent craftsmanship. The Fleur-de-Lis Appetizer Picks can make even small bites seem quite grand. Present and serve appetizers in royal style with this set of four appetizer picks. Each features a beautiful, three-dimensional pewter Fleur-de-Lis topper. 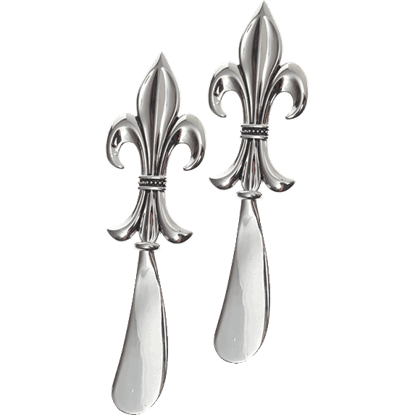 The Fleur-de-Lis Spreader Knives are perfect for your next royal occasion or for everyday enjoyment. These Renaissance spreaders are great for cheese, butter, jam, and more. 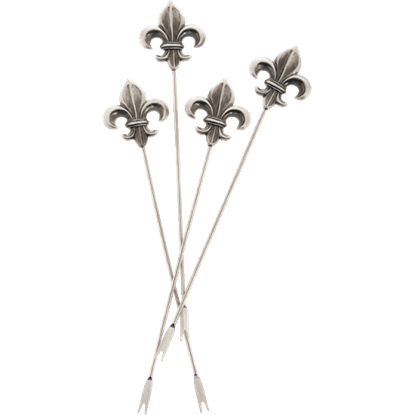 Their pewter handles have a beautiful fleur-de-lis shape.